Choose between modules whose main difference is viewing angle and supply voltage. Don’t see a match for your needs? 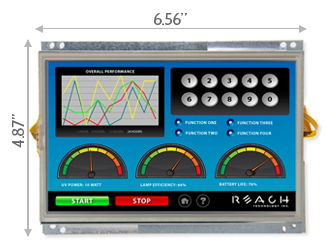 We feature our most popular products online, however other 7″ modules may exist. See Custom Modules for details. We feature our most popular products online. However other 7″ modules may exist. See Custom Modules for details.